As the ski season winds down in the Elk Mountains of Colorado, and Spring makes it’s arrival on the calendar, so lies the time for the annual pilgrimage to a special and favorite ski destination of mine….the Chugach Mountains of Alaska’s Thompson Pass. 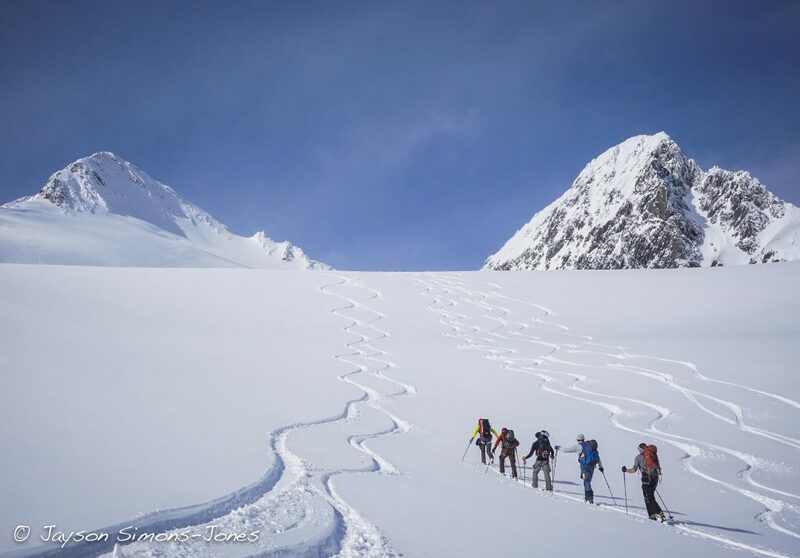 This year’s trip, run for Irwin Guides, marked my 8th consecutive Spring of ski guiding in this wondrous and vast mountainous and glaciated terrain that holds such a unique place in the hearts and minds of backcountry ski and ski mountaineering aficionados from around the world. Alaska’s mountains are big. The terrain is big, the scale hard to gauge and comprehend, and the snow is incredible….smooth, consistent, and reliably good. This year was no different, and in the end, it was unfortunate that only 1 week and 1 trip was spent here in this mecca, where a lifetime of ski lines awaits.